New for Fall 2014 ... Juliska Acanthus Dinnerware. 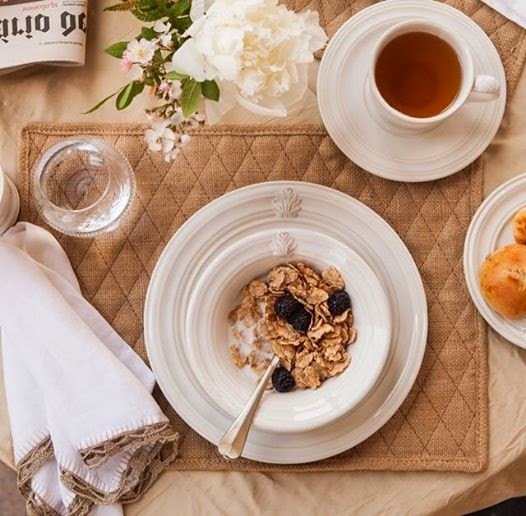 Juliska has transposed the architectural essence of hand-carved stone moldings into its newest dinnerware collection. This collection, crowned with an acanthus leaf, promises to be a classic that can be dressed up for elegant dining or dressed down for a casual dinner. Need even more of a Juliska fix? View the entire collection here.